The NFA found the club guilty of playing two ineligible players and have handed the trophy to Diamonds but Saints have the right of an appeal. 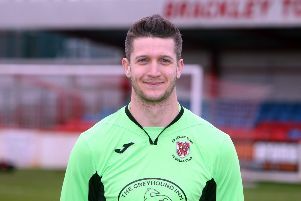 NFA chairman Bob Cotter was unable to expand too much in case there is an appeal but said: “Brackley played two players in the final who had not played in a previous round. They asked for dispensation for those two players which was refused but they went ahead and played them. “That put the club in breach of the rules and the matter was reported to our county cups committee which then made the decision. But the decision is subject to an appeal and they have five days to do so. “We do give dispensation for some players but not for these two. Our logic is simple, we look at the requests and at the players who have been with the club the longest. But Cotter hinted the county may look at the rules again. Disappointed Saints boss Kevin Wilkin said: “We’ve asked for a meeting with the NFA to try and avoid this happening in the future. Counties need to be able to work alongside clubs.